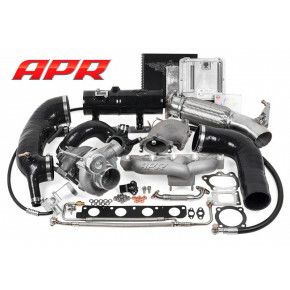 Turbo Kits There are 3 products. 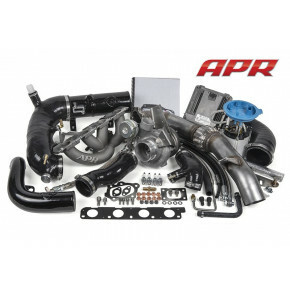 APR's Transverse 2.0 TSI Audi S3 and VW Golf R Engine Conversion Packages will upgrade your current factory rated 200hp and 207lb-ft Transverse 2.0 TSI Engine with all of the necessary OEM components from the European Audi S3 and VW Golf R and meticulously recalibrated Engine Management to produce 366 horsepower and 380lb-ft of torque on 98 Octane gas. £ 7,558.25 This product is ordered direct from supplier - please allow extra time if this is on back-order. This product is ordered direct from supplier - please allow extra time if this is on back-order. £ 6,298.54 This product is ordered direct from supplier - please allow extra time if this is on back-order. 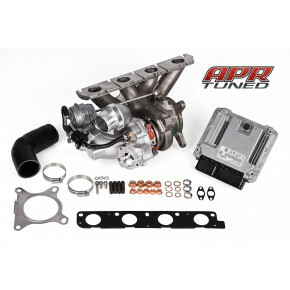 The 2.0 TSI is completely transformed the second it meets an APR Stage III GTX Turbocharger System.